The above verse is taken from a passage of Scripture which describes the overthrow of the wicked inhabitants which lived in the cities Sodom and Gomorrah. God appeared to Abraham while he sat in his tent door in the plains of Mamre, and ultimately revealed to Abraham His plan. Abraham spoke these words as he considered the implications of the impending judgment upon the cities. Naturally, his heart was for his nephew, who, after parting with the nomadic lifestyle and company of his uncle Abraham’s family, sought prosperity and security within the city of Sodom which would soon be destroyed. “And Abraham came near and said, “Would You also destroy the righteous with the wicked?” (v. 23 NKJV). Abraham’s argument was developed out of his knowledge of the character of God. Would God be willing to destroy the righteous alongside the wicked? Surely, God would not stand idly by and allow the upright to suffer side by side with the wicked. “Far be it from You to do such a thing as this, to slay the righteous with the wicked, so that the righteous should be as the wicked; far be it from You! (v. 25 NKJV). Furthermore, how much more uncharacteristic of God would it be to allow the righteous to suffer as though they themselves were wicked. If it was unthinkably unjust to destroy the righteous WITH the wicked, how much more so to punish the righteous AS the wicked? The number of righteous in the city was not equal to ten. On a grander scale the Psalmist records that as God numbered the righteous in the whole world, the sum total was zero—“there is none righteous, no not one” (Psalm 14:3, Romans 3:10 NKJV). Abraham could not have known that one day, God would send to earth His beloved Son, Jesus Christ, the perfection of righteousness (I John 2:1). 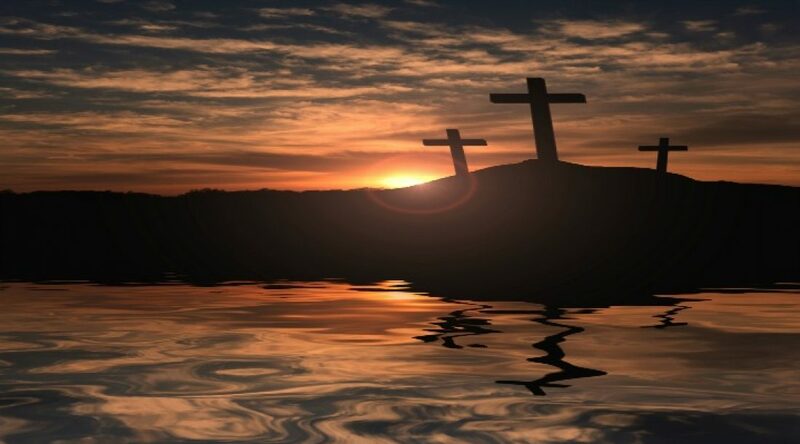 On Calvary’s cross, hung between two criminals, the righteous Lord Jesus Christ died with the wicked having been numbered with the transgressors (Isa. 53:12). He died condemned by man as the wicked. “But God demonstrates His own love toward us, in that while we were still sinners, Christ died for us.” (Romans 5:8 NKJV). Abraham’s question, “Shall not the Judge of all the earth do right?” is answered at Calvary. At the cross of Calvary, the demands of a righteous Judge were met as punishment was poured out on Christ. But it is also there that the heart of a loving God was manifest as the punishment was poured out on His only begotten Son as the Lord Jesus Christ willingly gave up His life with the wicked, as the wicked, and ultimately for the wicked. The payment for sin paid in full, we who were once enemies of God are now reconciled through faith in Christ, and we who once knew no righteousness are made the righteousness of God (2 Corinthians 5:21).